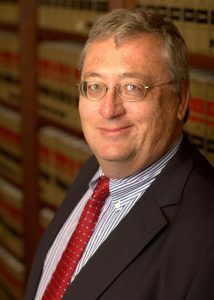 Bruce P. Frohnen is Ella and Ernest Fisher Professor of Law at Ohio Northern University College of Law. He has served as Charles Evans Hughes Professor of Jurisprudence at Colgate University, Thomas Bahnson and Anne Bassett Stanley Professor of Ethics and Integrity at the Virginia Military Institute, Visiting Scholar at the Johns Hopkins School of Advanced International Studies, Legislative Aide to a United States Senator, and Senior Fellow at Liberty Fund, Inc. He has authored or co-authored three books, that latest, Constitutional Morality and the Rise of Quasi-Law, written with the late George Carey, was published by Harvard University Press in 2016. He also has written over 100 articles, essays, book chapters and reviews. His co-edited volume American Conservatism: An Encyclopedia was the subject of a front page article in the New York Times. His two most recent edited volumes, The American Nation: Primary Sources and Rethinking Rights (with Kenneth Grasso) were named Outstanding Academic Titles by Choice: Current Reviews for Academic Libraries. His research interests focus on the nature, development, and prospects for constitutionalism and human rights given changing views regarding the nature of human community and the person. He teaches a wide range of courses, from Commercial and Property Law to Law and Politics and Political Philosophy. He holds a Ph.D. in Government from Cornell University and a JD from the Emory University School of Law.